Colourtrend, Ireland’s leading premium paint company, has chosen Epicor-focussed Accounting Intelligence company FastClose to expand their operational reporting for sales analysis, and beyond. Sinead McCarthy, Financial Director of Colourtrend, explained, “We first met FastClose at an Epicor user group when they were just starting up. At the time, their product looked really easy to use but only ran over Epicor's General Ledger; we wanted it to run over Accounts Receivable, Accounts Payable, and Inventory, and we were surprised at how quickly they were able to do this. “We then challenged them to replace two of our most difficult reports, one of which was month- and year-to-date sales, by volume and value, for all of our product groups by individual product. “Normally, this report would take us a day to build. It is used by all of the sales and management team and is a key report. The challenge with the report is having to consolidate part transfer information, ship to data, and AR information, which the tools we had at the time could not do automatically. Ms. McCarthy continued, “Also, by using FastClose, we have total flexibility for bringing in additional information like customer, plus other dimensions, and can now start to expand the sales analysis report rather than giving the minimum information that management need. “An added bonus is that you can publish the report out to members of the management team and there are runtime parameters that allow you to change the period and year on the fly. So, now, we won’t be asked all the time for this information as it is self-service. Even more time saved. FastClose offers specialist reporting software that links directly to the Epicor database and gives unprecedented access to data. It is designed to be super easy-to-use, with the product up and running in a few hours leading to a rapid ROI. FastClose is designed to bridge the gap between complex and costly BI tools and uncontrolled spreadsheets. 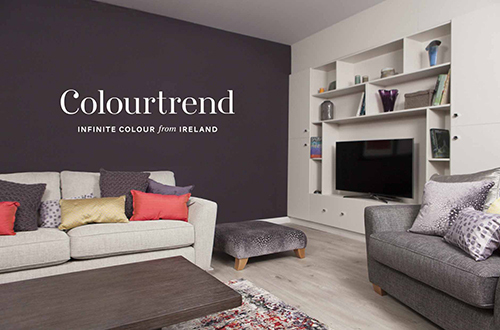 “As a start-up company, we were really lucky that Colourtrend took us on. We wanted to be stretched and get feedback on the key tables and joins that they needed to report over. “What is great is that this type of report is now a basic template for all other FastClose users to use. Everything we do for our customers benefits all the others, and just pushes the product on. “Our design criteria are that FastClose must be easy to install and use from the get go. “FastClose has a really user-friendly interface and we can also export information into Excel, but additionally there is a real-time plugin into Excel. This allows users to access saved reports from FastClose and to change period, year, product or any dimension that is in the report directly in Excel, giving real-time information every time you hit the refresh button.